Black History Month is a time when most American school children learned about the amazing accomplishments of a few iconic leaders like the Rev. Dr. Martin Luther King Jr. and Malcolm X. They may have studied the Civil Rights Movement or watched a documentary chronicling the fight for black liberation. However, a few teachers took the celebration of black culture a step further. Here’s a roundup of three creative strategies employed by educators to celebrate and teach their students about black culture. Inspired by Black Panther—a Marvel sci-fi flick that is being celebrated for redefining blackness and its portrayal of Afrofuturism and Africa—one Ohio educator is copying a popular moment from the hit movie to greet her class. 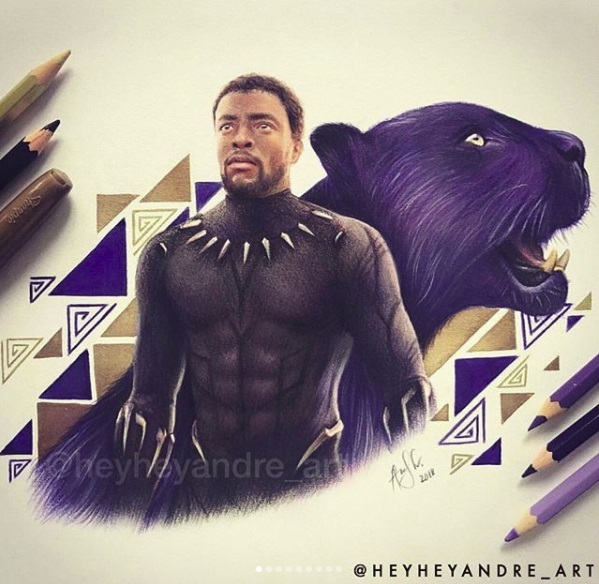 Tina Rucker Bailey, a teacher at Dayton Leadership Academies, uses Shuri and T’Challa’s handshake with her students in the morning to help get them pumped for the day, reports Yahoo Entertainment. A video of Bailey greeting her students with their special Black Panther handshake while wearing a panther mask went viral. Another educator celebrated the beauty of black hair by turning the door to her classroom into a giant, 3D mural of a black woman with an afro. 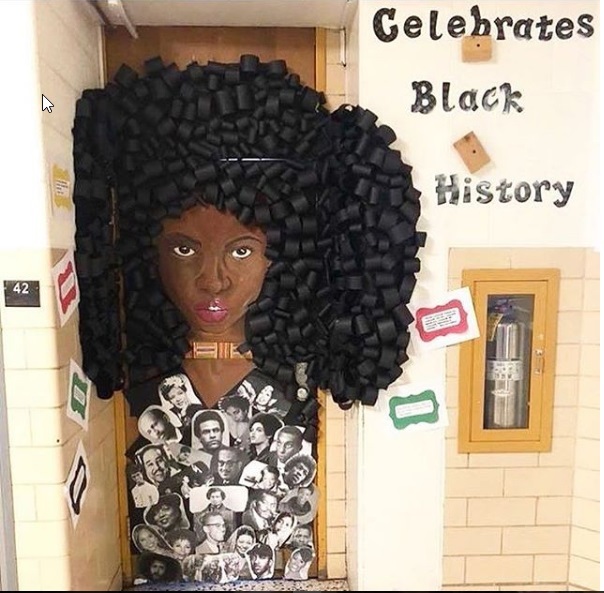 Kimberly Tatuem, a History and American Government educator for Baltimore Public Schools, used strips of black construction paper to create faux 3D curls that covered the outside of her classroom door and extended onto the walls of the hallway. The mural also features a black girl wearing a shirt decorated with the faces of historic African American leaders like Huey P. Newton and Dr. Carter G. Woodson. Tatuem says photos of her creation went viral, installing a sense of cultural pride in her students. 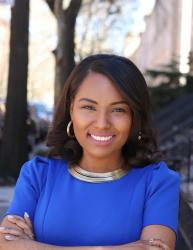 “When I came into school the next day after the post went viral and was shared on sites such as The Shade Room, Black Wall Street, Power 105.1 and Motown Records, as well as liked by a number of celebrities, my students were so excited and proud. I saw in them a renewed sense of pride in themselves, their abilities, their city, and their school,” said the eight-year teaching veteran. A Texas pre-K teacher went the extra mile to help a black little girl appreciate her braids by styling her own hair the very same way. Last month, Leigha Bishop of Lakeview Elementary in Sugarland, Texas, said she noticed when her student, August Burroughs, didn’t feel confident about a new braided hairstyle. The educator stayed true to her word and showed up to class with her hair styled the very same way. She then shared a photo on Jan. 31 of the two flaunting the identical braided topknot hairstyles that went viral. “I went home and got to work on my hair! 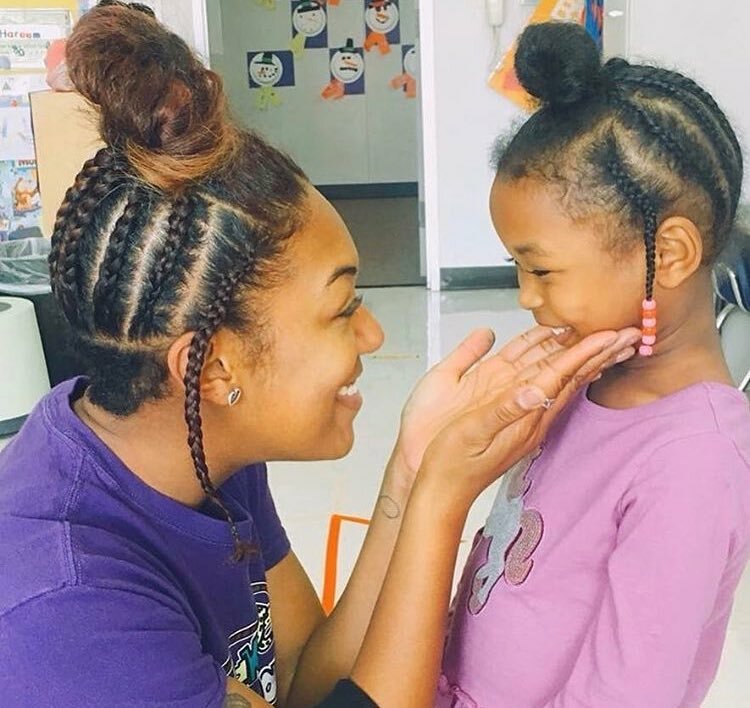 With my student’s hair being similar to mine, I thought, what better way to show her how she inspired me to feel beautiful [than] with that same braided updo?” she told Teen Vogue. The elementary school teacher said the small gestures go a long way to help students embrace and feel good about their originality.